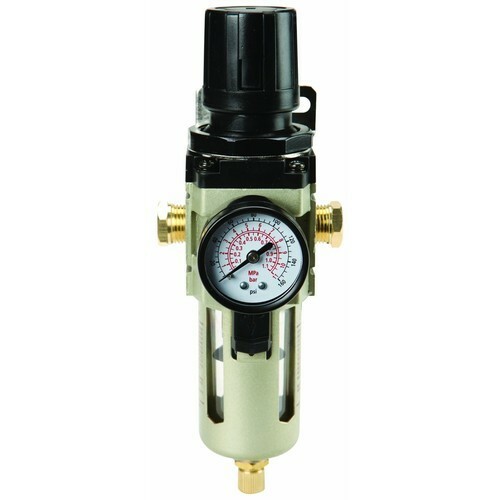 To satisfying the varied demands of clients, we are highly engaged in offering optimum quality Pneumatic Filter Regulator in the market. Established in 2014, We Pneumotec Engineering Solutions engaged in manufacturing, trading , distributing and exporting of Bottle Filling Machines, SOLENOID VALVE,FLOW CONTROL VALVE, SS FERRULE FITTINGS, AIR CYLINDER, AC MOTOR, SERVO MOTOR,AC DRIVE etc. These offered products are designed using top grade components at our end. Offered products are highly credited by the customers for their high strength, long service life, accurate size and light weight. Brands which we are dealing i.e USA SUPERLOK BMT SS Ferrule Fittings, BURKERT , JANATICS, FESTO, SMC, BONFIGLIOLI, HINDUSTAN MOTOR, DELTA DRIVES etc.